ECCE and Court-Circuit join forces to present works by Christophe Bertrand, Philippe Hurel, David Felder, Philippe Leroux, and John Aylward. The ensembles themselves will present smaller chamber works featuring members of each ensemble. Then, Maestro Jean Deroyer from Court-circuit will lead the combined ensembles in performances of Philippe Hurel’s Figures Libre and the world premiere of John Aylward’s Narcissus. 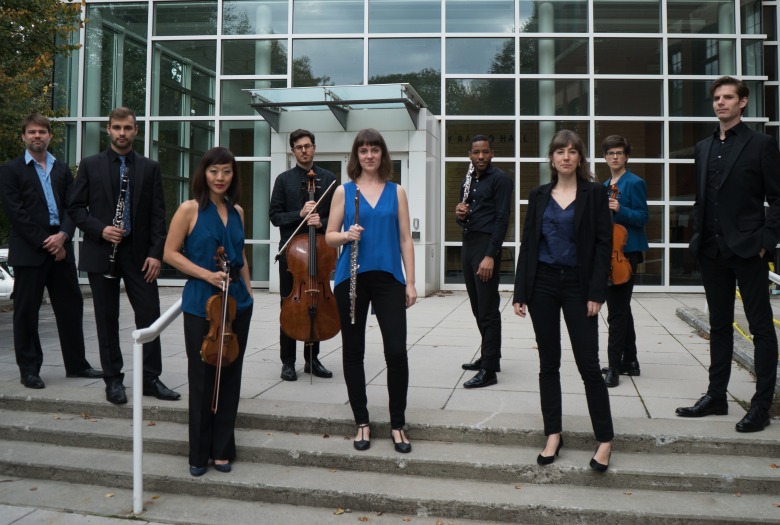 Founded by composer John Aylward, ECCE is an east coast based, dynamic ensemble of culturally and socially engaged musicians. Core to its mission are its energetic performances of new music in multiple forms and collaborations with creative artists and thinkers across disciplines. Activities encompass an annual concert season culminating in the international Etchings summer music festival. 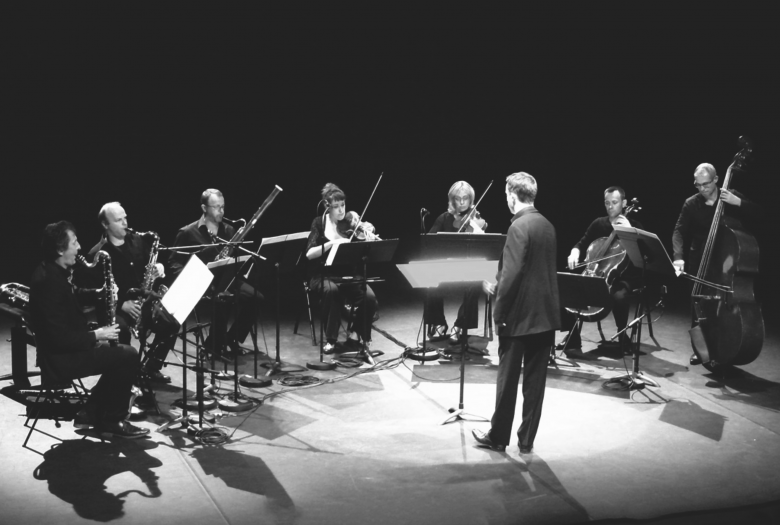 The composer Philippe Hurel and conductor Pierre-André Valade created the ensemble Court-Circuit in 1991, following a meeting with the founders of Analix Gallery in Geneva. “Created by a composer for composers”, Court-circuit from the outset was a place of experimentation, an art project promoting intense risk-taking in a spirit of total freedom. A strong commitment to contemporary music is the real cement of the ensemble. Court-circuit owes its its nervous, rhythmic, incisive identity, as well as its banner-like name, to the musicians and their leader Jean Deroyer, who animate it with determination and virtuosity. This concert receives the support from the Bureau export, the French Institute and the Cultural services of the French Embassy in the United States.